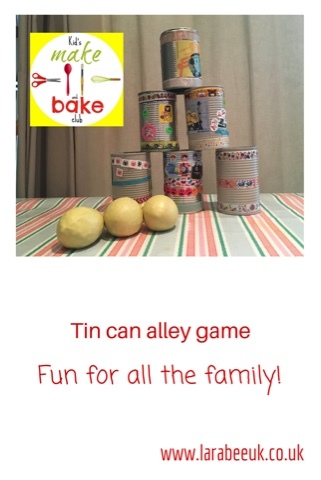 This week on the Kids make and bake channel T made a simple tin can alley game from recycled tin cans. It's really simple and doesn't take long to save the cans, you could also use drinks cans if you have them. 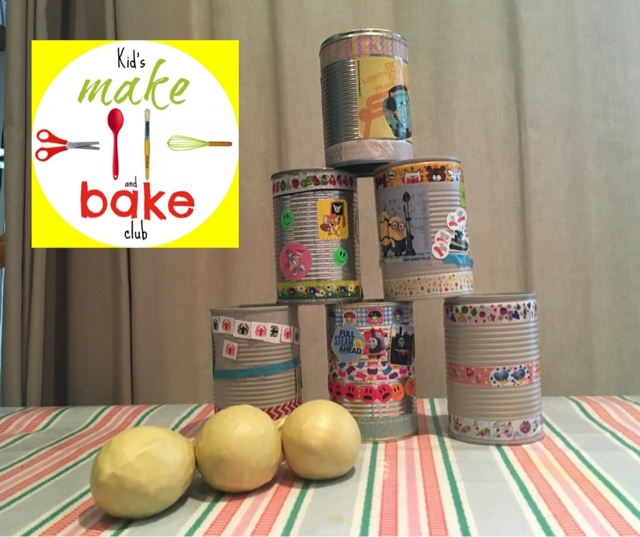 Why not challenge your whole family to a game? It's great for all ages. New video's are up every Monday, we'd love it if you would give us a thumbs up and subscribe to the channel! What a lovely idea for a game, not kids yet but I would still love to play it. My kids would love to play this game. Looks like fun.